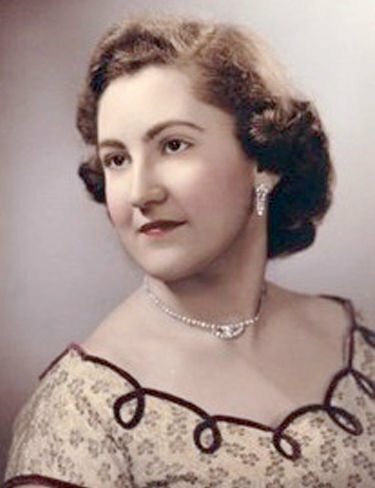 Cleo J. Facos MONTPELIER — On April 6, 2019, Cleo John Facos, 88, of Montpelier, passed away peacefully at Heaton Woods. Born in Springfield, Massachusetts, on May 20, 1930, Cleo was the daughter of John and Katina (Gillis) Chigos. After graduating from the High School of Commerce in Springfield, Cleo held several jobs before going to work for her brother, Anthony, as he started his business, Springfield Audio. On Dec. 1, 1956, Cleo married James "Jim" Facos. In 1959, with their first child in tow, they moved to Montpelier, when Jim accepted a teaching position at Vermont College. Cleo enjoyed life in Montpelier, raising her children, working as secretary for the American Legion Department of Vermont Headquarters from 1975 until her retirement in 1995, and being an active member of Bethany Church, where she was a member of the choir and was an occasional soloist. Cleo was also a member of the Brown Bag Study Group; the American Legion Auxiliary, Unit 3; and was a regular volunteer at the Bethany Bowl community lunch. Cleo enjoyed her family, music, gardening, playing Scrabble, watching old movies and spending time on her deck. She also enjoyed making terrariums for family and friends. Cleo is survived by her three loving children Theresa Katina "Tina" and husband Michael Casolo, of Darien, Connecticut; Elizabeth "Joy" Facos, of Montpelier; and Anthony "Tony" Facos and wife Shelley, also of Montpelier. She was grandmother to Grace and Caroline Casolo, Courtney (Hidook) Shay and husband Mark Shay, of Atlanta, and Nathan Hidook, of Alexandria, Virginia. She was also great-grandmother to Jackson and Penelope Shay, of Atlanta. She was predeceased by her husband of 60 years, James Facos; and a brother, Anthony Chigos. Cleo’s family is deeply grateful to the caring and dedicated staff of both Heaton Woods and Central Vermont Home Health and Hospice. Their genuine warmth, professionalism and unfailing good humor contributed greatly to Cleo’s quality of life and sense of well-being. A memorial service will be held on Saturday, May 4, 2019, at 11 a.m. at Bethany Church, 115 Main St., Montpelier. A committal service will be held in the Vermont Veterans Memorial Cemetery in Randolph Center, later this spring. Gifts, in lieu of flowers, can be made to the Heaton Woods Activities Fund, Central Vermont Home Health and Hospice, and the Bethany Church Organ Maintenance Fund. I am very sorry for your loss. May God Bless you all.